"Max Cooper is a London based musician and geneticist primarily releasing on Traum Schallplatten. The combination of his scientific and musical influences are evident in Max’s turntablist DJ sets, technical production style and abstract research topics. 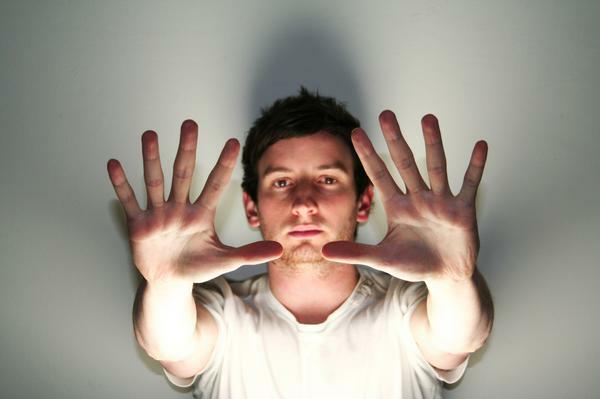 Max Cooper's sound ranges from stark electronica remixes of huge bands like Hot Chip and Au Revoir Simone to the fuzzy, buzzing dancefloor sound of his breakthrough "Serie" releases. But it's all, he says, inspired by his need to "match the emotions in the head with the emotion that can come out of the monitors". That's why he put serious time into perfecting his own unique take on electronica before breaking through with the underground smash Harmonish Serie in early 2009 - a Raveline "heavy rotation" track and a top 5 vinyl hit in Germany. By then, with releases on more than 20 labels like Traum, Perc Trax, Autist, and veryverywrongindeed, he'd been DJing for more than 10 years, and he still holds down two of his earliest residencies - seven years each of road testing new material at two clubs, Firefly and Stealth, in the midlands of England. His first sets there were as a turntablist, influenced by hip-hop DJs like Craze and Q-bert, but since he first started producing his own tracks in 2006 he's irresistibly moved toward a "less-is-more" approach to music. This move, also, was inspired by the subject of his day job: genetics. First producing music as a science student, he's managed to keep up a parallel life in science alongside his music, taking his PhD at the same time as being labelled a "Future Hero" by Mixmag and appearing twice on the UK's biggest dance programs on Radio1, and continuing to work a genetics researcher for University College London as he had his first top 10 minimal hit on Beatport with "the Shufflebox EP" on Autist, not to mention a top 5 electronica hit with his remix of indie darlings Au Revoir Simone. But as Max says, it's not two disconnected lives; each has a marked affect on the other. In fact his breakthrough and best-known tracks, the Serie releases - Harmonish Serie, Stochastich Serie and the recently released Chaotisch Serie - are inspired by his academic interests, with each release being associated with scientific and philosophical ideas in order to reinforce the message of the music and promote the ideas to a wider audience. The Serie releases were each turned into startling music videos via a collaboration with animator Whiskas fX, with the low-fi, dusty surfaces and wobbly hand-held camera of each video giving no hint of the monster power of the mathematical rendering used to create each scene. Unsurprisingly, each video has been a Youtube hit - as has the genetics-influenced "mutation through geometry" imagery of Max's new website maxcooper.net. Max, meanwhile, is now increasingly focused on trying to align the visual and live side of physical performance - one of the reasons that IDJ magazine named him one of its 10 producers to watch for 2010, with DJ magazine getting in earlier to call him someone to watch right now. Production, and Cooper's ability to perform his productions live, is the key to his music, which has now expanded to include strikingly beautiful remixes like the aforementioned Hot Chip and Au Revoir Simone, and European dancefloor acts like Extrawelt, Perc and Dominik Eulberg. That in turn has made fans of key DJs like Digweed, Slam, Patrice Baumel, Popof, Pig and Dan, Dubfire, Alexi Delano - and Gui Boratto and Hot Chip, both of whom have used Max's tracks for their compilations. His production and Max's unquestioned ability to create a unique mood as a live act or as a DJ has also created huge demand for live and DJ sets at techno landmarks like Fabric and in Amsterdam, Tel Aviv, Zurich, Russia, Paris, and all over the UK and Germany, including headlining the upcoming Gotwood Festival. "If I get a feeling about a track," Cooper says, "I drop everything and get straight to the studio. I often start something new at 3AM on a Tuesday morning. If I reflect on an idea until the next day, it becomes diluted". All times are GMT -4. The time now is 02:50:01 AM.